Leopards are hoping to add three players before they travel to high-flying Worthing Thunder on Saturday. The Big Cats are working to get American pair Asante Sandiford and KJ Lee registered in time for the trip to big-spending Thunder, and are also waiting on Barbadian guard/forward Dion Easton receiving his British passport before Friday. “It’s touch and go with all three players” admitted general manager Dave Ryan. “There’s a mountain of paperwork to get Asante and KJ registered while Dion’s passport keeps getting delayed for no apparent reason. “Obviously we’d have liked to get this all done earlier, but our new partnership with University of Essex and our late promotion to Division One have complicated things. While Leopards’ future signings watched from the stands at Essex Sports Arena on Saturday, Derby Trailblazers’ American pair of Tre-Shawn Wilford and Malcolm Smith poured in 69 points between them to lead their side to a 98-76 win. 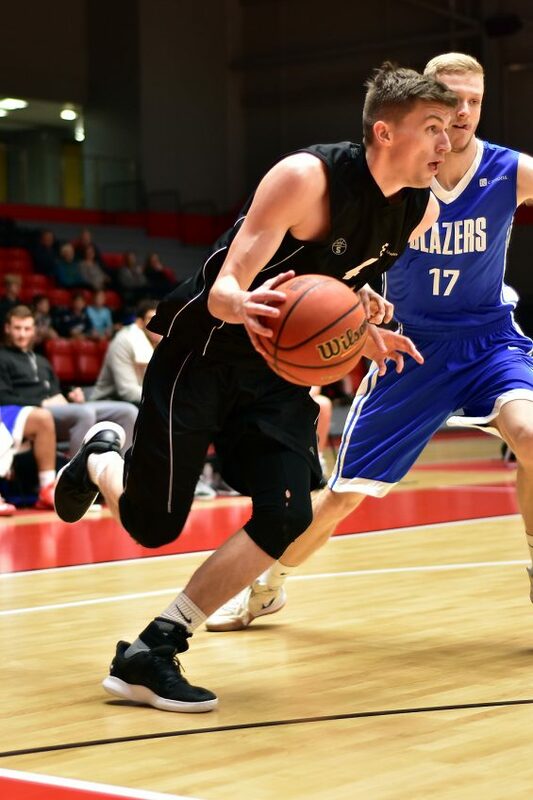 The Big Cats started well with Findlay Wood hitting eight points, including two three-pointers, as they led 14-10 after five minutes but they trailed 24-20 at the first break and failed to score during the first four minutes of the second half as Derby took control of the game. Derby led 49-38 at half-time and extended that advantage by four in the third period before wrapping the win up with a 28-20 final stanza. Lee Hodges had another massive night on the boards for Leopards with 22 rebounds and a team-high 13 points. 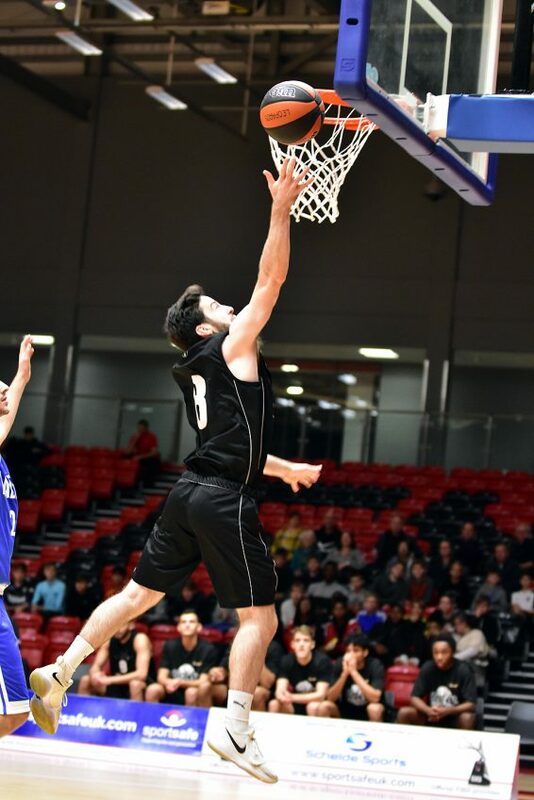 Wood, Rory Winter and Sam Newman all finished with 12 points, with skipper Newman adding six rebounds, while Luke Mascall-Wright chipped in with 10 points, but Leopards’ reliance on the three point shot – despite hitting only 12 from 38 – proved to be their undoing. 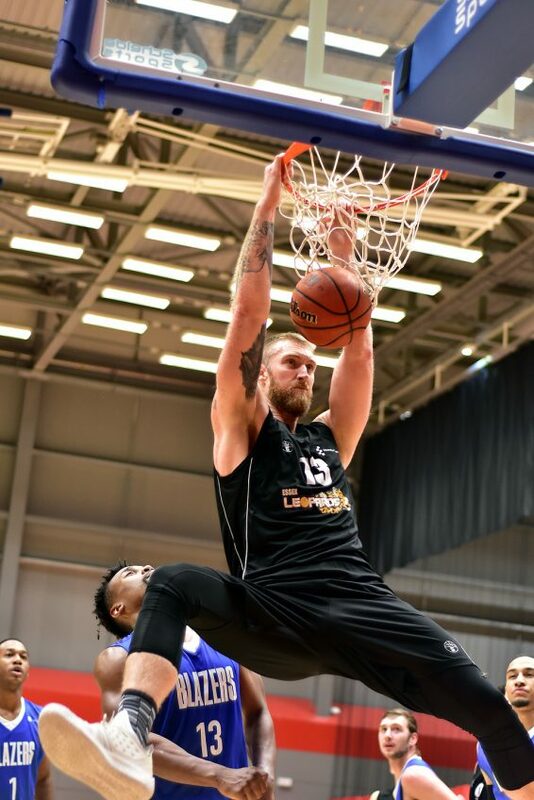 Saturday’s trip to Thunder should provide one of the Big Cats’ toughest games of the season with the south coast club having an experienced back court of Zaire Taylor and Alex Owumni who have both played all over the world. Owumni is the author of the best-selling book Qaddafi’s Point Guard which tells his story of playing in Libya and becoming trapped during the country’s civil war. Thunder are third in the Division One table with a 5-1 record and have reached the National Cup quarter-final and the last four of the National Trophy.